Super Rad KAL Patterns - LIVE now on Ravelry! Last week I announced the Super Rad KAL, starting on September 10th. 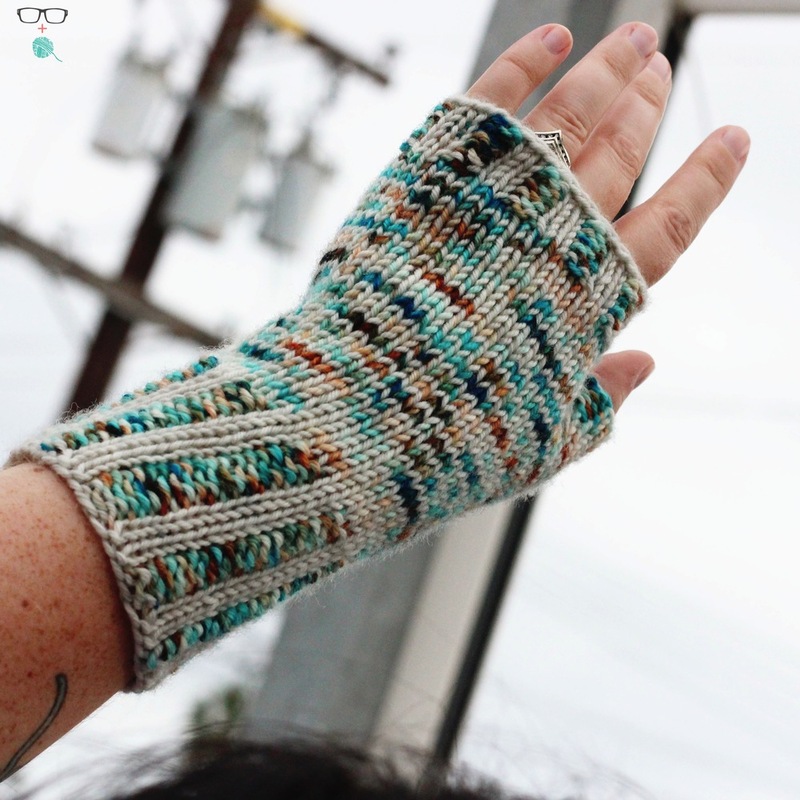 The patterns are now live (after a super-fun photo shoot with my biffle) so you can start downloading, swatching, and getting all prepared for next Thursday! You can choose either the hat pattern or the mitts pattern - or BOTH! The patterns will be on sale on Ravelry as a buy one, get one half price. Each pattern includes instructions for either a brioche option (modeled on the hat) or a corrugated rib option (modeled on the mitts). Both totally rock in my opinion! The mitts pattern includes 3 sizes and the hat pattern includes a fitted version and a slouch version. The DK Mini Skeins from Haute Knit Yarn are made just for this KAL! One mini-skein set will make any ONE project. Two full size skeins will make a matching set of mitts and a hat. Click HERE to get your yarnz! And you can PM Shellee on Etsy and get a discount code for your yarn! So let's get to gettin' the patterns! Super Rad - hat PDF pattern on Ravelry! Radlets - fingerless mitts PDF pattern on Ravelry! Grab your needles, get your yarn, and get ready to cast-on with me on September 10th! I'll be making a corrugated rib beanie and a brioche set of mitts! Can't wait to knit with you! KAL Mania is truly in full swing as we head into fall. I love how active the knitting (and crochet) community has become and LOVE being able to host KALs with some of the most talented knitters around (in my not so humble opinion of course). Today I'm excited to announce a collaboration with Haute Knit Yarns as she releases her DK Mini Skeins! Shellee contacted me to see if I'd collaborate with her again after a wildly successful Electric Ocean KAL back in the spring and of course I said YES! What's so special about this KAL you ask? Well... it's a bit of a choose your own adventure style... kinda sorta. I mean, once you choose your path, you're on it, but you have a bunch of choices to make. Here's the deets! There are two options - you can knit one or both! See the full list of supplies at the bottom of this post! I have designed a hat called "SUPER RAD" (both a fitted beanie and a slouch style) with a brioche detail (as seen in the sample image above) OR for those of you who aren't into brioche, a corrugated rib option is available in the pattern. I have also designed a pair of fingerless mitts called "RADLETS". Much like the hat, you can knit these mitts with a corrugated rib design (as seen in the sample image above) or with a brioche detail. The mitts come in 3 sizes so you'll likely find a pair that fits you just right! Speaking of patterns... where can I get them? The patterns will be available for purchase on Wednesday, September 2nd in my Ravelry shop. The patterns will be available for $5.95 each or buy one, get the second half price! I'll post a link here on the blog and in the Ravelry Group once they go live on the 2nd. What yarn should we use? Haute Knit Yarns has created some oh so special color ways for this KAL. Each design will use one SET of DK minis (i.e. : two mini skeins). If you want a matching pair of mitts to go with a hat you can buy two mini sets that match or you can buy two FULL SIZE DK skeins and create your own color way combo. The options are endless! And you can private message Shellee on Etsy to get a promo code for the yarn! Thursday, September 10th! There's no specific time; the patterns will be available ahead of time so you can cast on as soon as you wake up if you'd like! The KAL will run for 4 weeks and will end on Thursday, October 8, 2015. Where is the KAL hosted? In The Unapologetic Knitter Ravelry group on Ravelry. You can join the group, ask questions, post pictures of your work and get to know the other awesome knitters participating in the KAL. Video tutorials will be available so there may be a blog post or two mentioned in the Ravelry Forums from time to time to keep you knitting! If you're on social media, use #superradkal when posting images! How do I join the KAL? It couldn't be easier! Buy a pattern (or two), buy the yarn, join The Unapologetic Knitter Ravelry group and cast-on on September 10th. Pffft... of course there are prizes! Shellee has generously offered a skein of her yarn and I will be offering two patterns of the winners choice at the end of the KAL. To enter your name for prizes, simply post your picture on Instagram with #superradkalFO or post a picture in the Ravelry Forum noting that it is a finished object (aka: a FO). The more FOs you post the more chances you have to win. The biggest caveat, of course, is that you MUST be using Shellee's yarn to be entered into the drawing! What is the full supplies list? I think that about does it for details on this SUPER RAD KAL! I hope you'll join us!